You have finally decided to take the plunge and become a restaurant owner. 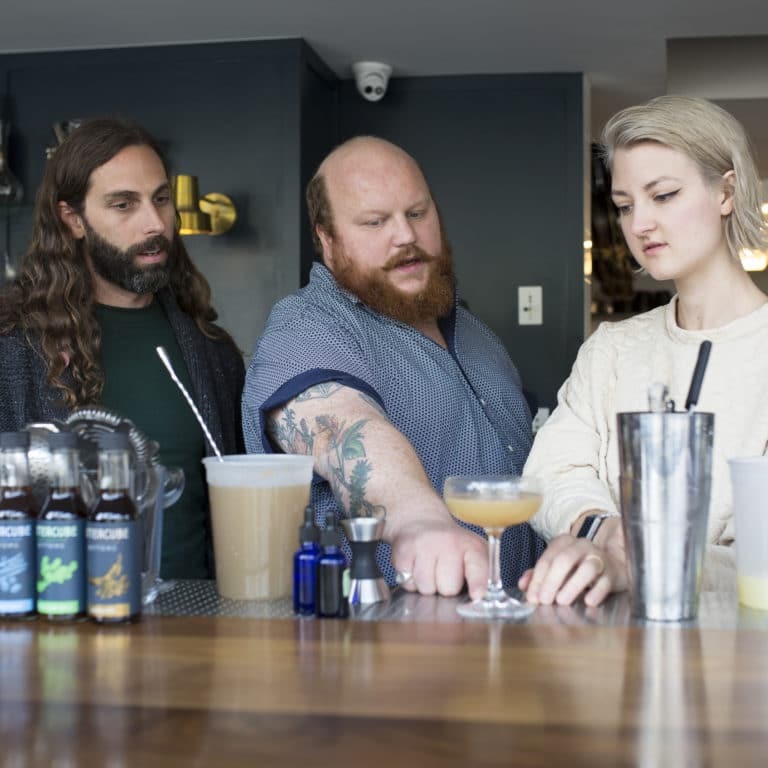 You’ve likely been daydreaming for years about decor, restaurant menu ideas and beverages, and are now faced with the daunting task of having to come up with a good restaurant name that isn’t already taken. 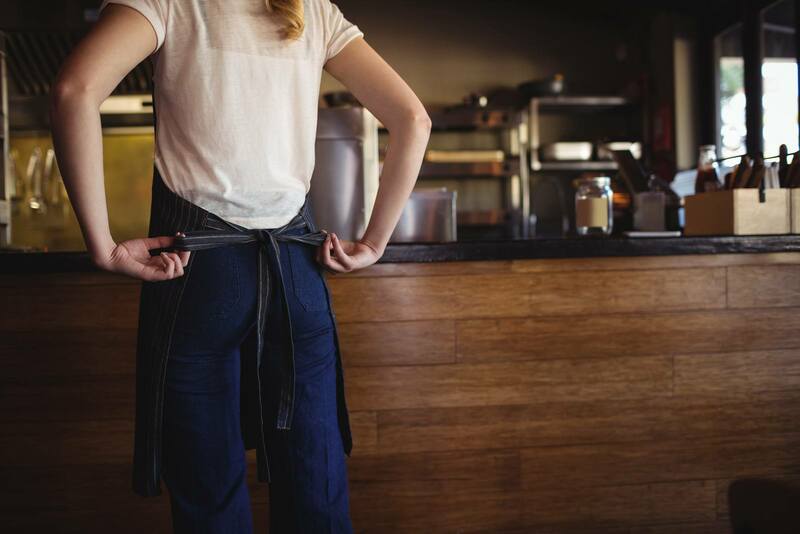 While it might seem like the exact same process, there’s much more to consider if you’re renaming rather than naming your restaurant for the first time. For those just starting out, you have a lot more freedom because everything is still being defined and will all be new to your customers. 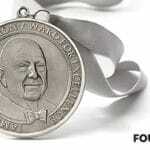 Restaurants that are already in the game have their existing reputation and customer base to think about. 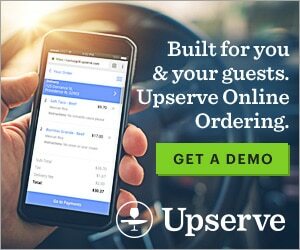 As you consider what your new name will be, make sure that you aren’t taking your restaurant’s new name in a direction that will alienate your current customers or will clash with the reputation you’ve worked hard to create. What this means is don’t give your place a fancy name if it’s known around town as the best dive bar in town or a name that makes it seem like the change comes with an increase in price if your affordability is what brings people through the doors. Sometimes the best place to start is to see what’s already out there. 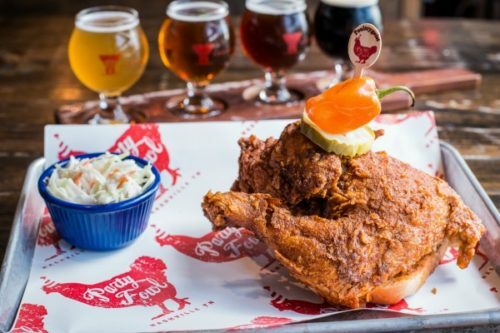 By perusing what others have done in search of restaurant name ideas, you can both get inspired and eliminate possibilities that are already taken in one fell sweep. To get you started, here are a few unique restaurant names. 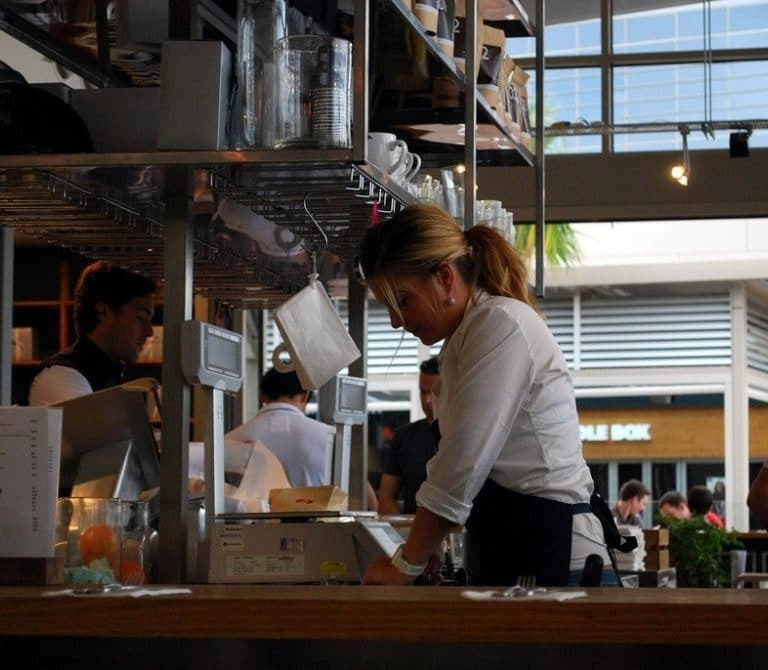 Not only do they stand out among the sea of restaurant names that customers are inundated with every day as they drive down the street or watch TV, but they also show how to reflect the personality of the establishment and the owner. A clever pun is certainly one of the more humorous ways to come up with a cool restaurant name. Check out some of these puntacular places! 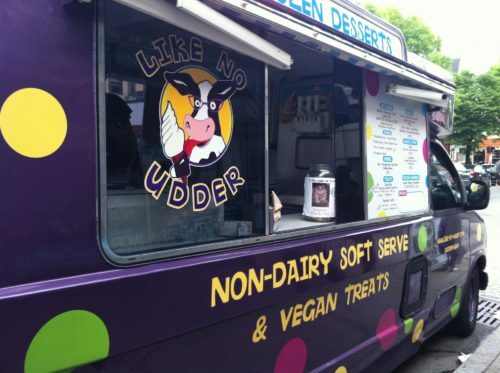 This vegan ice cream company started out as an ice cream truck back in 2010 and was recognized as being the world’s first all-vegan soft serve ice cream truck. After cultivating a loyal following, owners opened a permanent brick and mortar location in early 2016. We all have our basic needs, and pizza is definitely one of them. 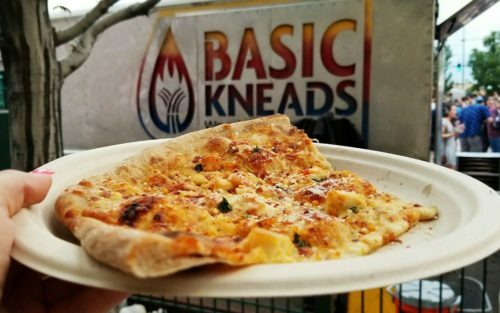 Basic Kneads Pizza is 100% mobile and consists of four mobile wood fired ovens traveling at events throughout metro Denver. 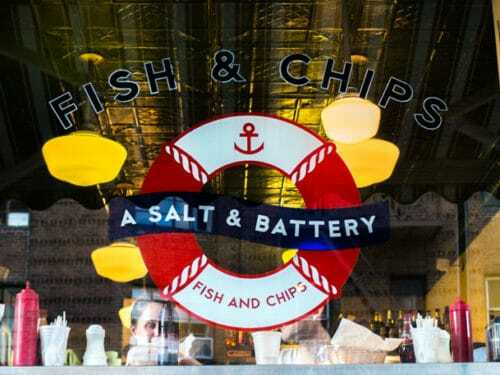 This New York City establishment specializes in traditional British fish and chips. The try as much as possible to source their ingredients locally, but their cooking techniques and their traditional British fryers were brought over from the UK. This is also the perfect place to pick up a Cod Save The Queen t-shirt. 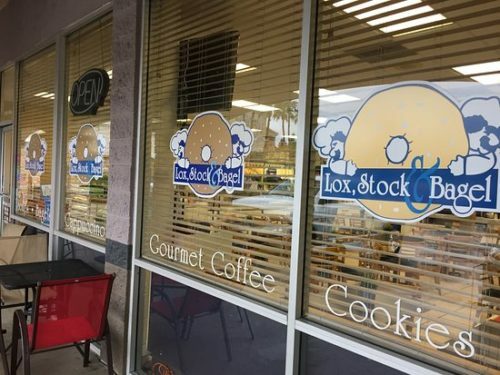 This bagel café began in 1990 by a couple with young children, and now their entire family runs three different locations. Clearly, they take their bagels seriously. This Wyoming restaurant is nearby local ski resorts and founded by a ski bum. 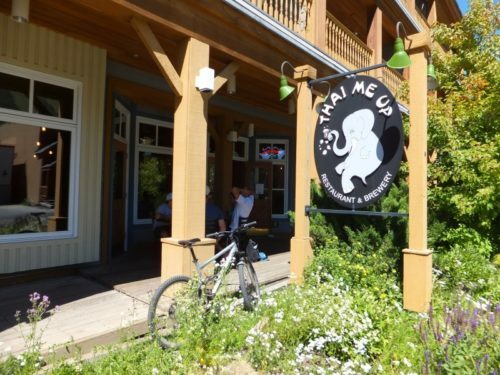 Their menu is American influenced modern Thai cuisine, as well as classic Thai dishes. 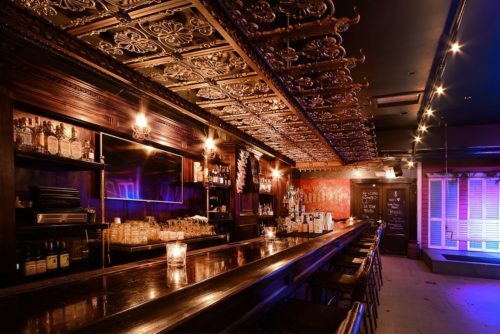 They also brew beer and have 20 craft beers on tap. 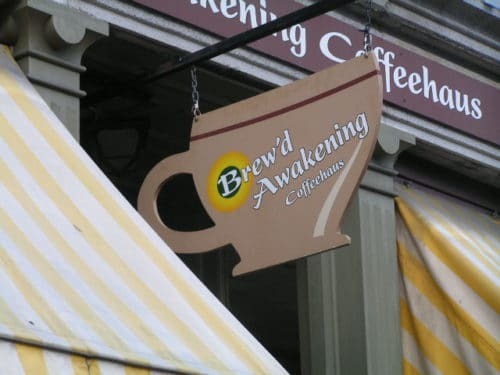 Brew’d Awakening opened in the former mill town of Lowell, Massachusetts in 2005. Ten years later, inspired by the thriving cultural and art scene in the city, they started to roast their own coffee, and now have three different roasts available at a time. 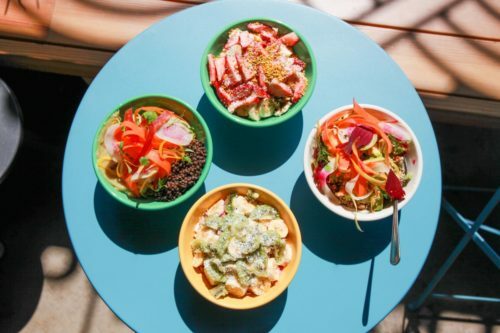 At this Tennessee café, they serve up healthy options, many of which are organic or sourced locally. They are sure to offer gluten-free and vegan options, and clearly, love a good food pun. Restaurateurs can also sneak a pun into a pop culture reference like these spots did! 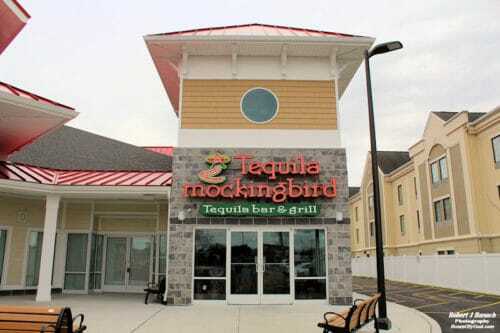 This Mexican bar and grill serves authentic Mexican cuisine and its name perfectly combines their favorite spirit with their favorite book. 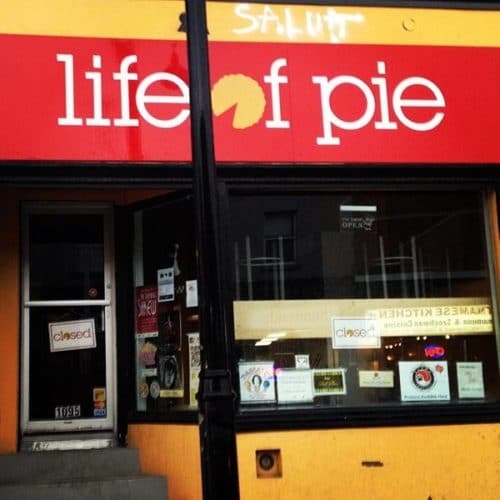 Playing off the name of the popular book Life of Pi, written by Canadian author Yann Martell and set in Canada, this Canadian bakery and café makes everything from scratch and their logo even involves a pie chart. 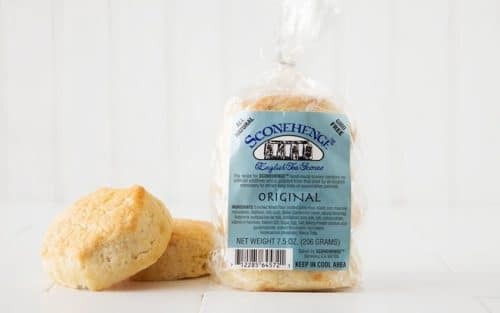 This bakery’s name, a favorite of students who attend UC Berkeley, references the English “Wonder of the World” to compliment their wonderful traditional English tea scones. 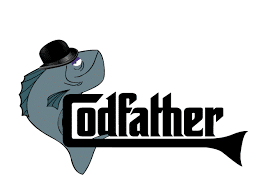 You come to me in your time of need…for fish and chips. This food truck based out of Reno, Nevada makes a play on the classic film’s name, as well as it’s infamous logo. 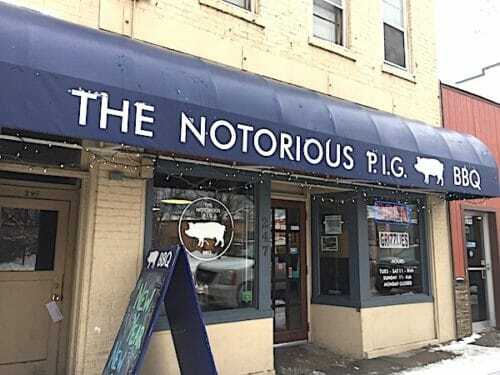 Not only is this barbecue joint notorious for their pun on the iconic rapper’s name, but they’re also notorious for their delicious BBQ meals. 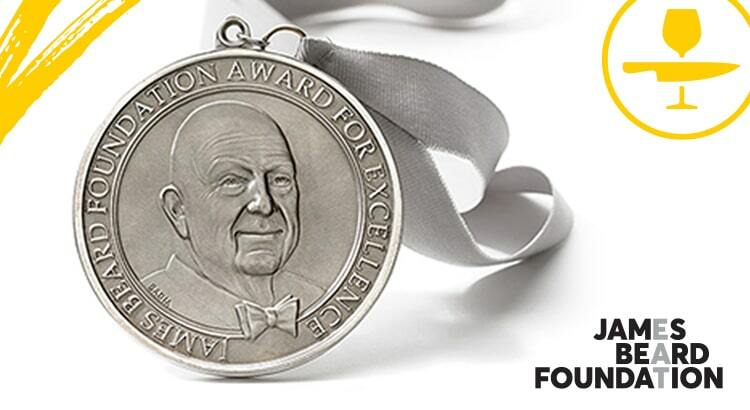 It’s founder, Burke Holmes, brought the best recipes from his hometown of Saint Louis, Missouri to Missoula, Montana. 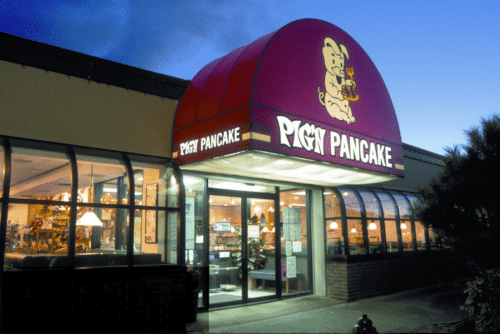 As if the cuteness of the name wouldn’t be enough to attract customers, their creative pancake recipes (including Sourdough, Swedish, Buttermilk, and French Batter) have earned them loyal customers who keep coming back for more. A little alliteration can go a long way! A cute restaurant name like this makes it easy to get some brand recognition, but I’m sure the beauty of these bowls helps too! 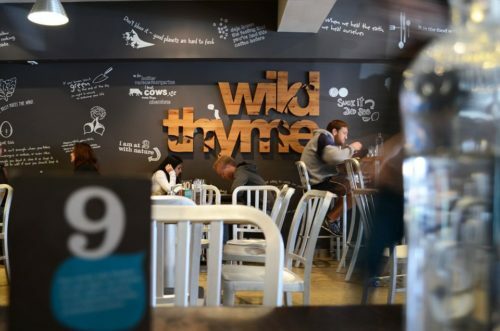 Making your restaurant name a rhyme, will keep it on customers’ top of mind. 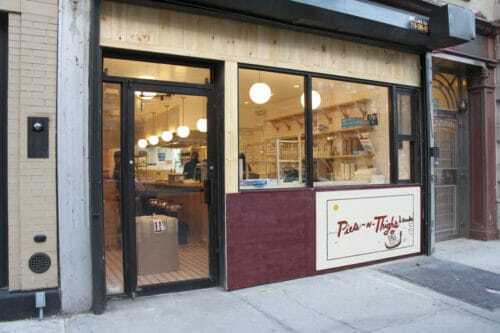 With a name like “Pies N’ Thighs”, people are bound to come by and give it a try. The next time some Brookynite stomachs get rumblin’, into this restaurant they will be stumblin’. One of the best parts about going to a more elegant eatery is telling friends you had reservations somewhere with a fancy restaurant name. How do you come up with a fancy restaurant name? Maybe start by looking outside of the English language. We all know restaurant names in french sound the fanciest. 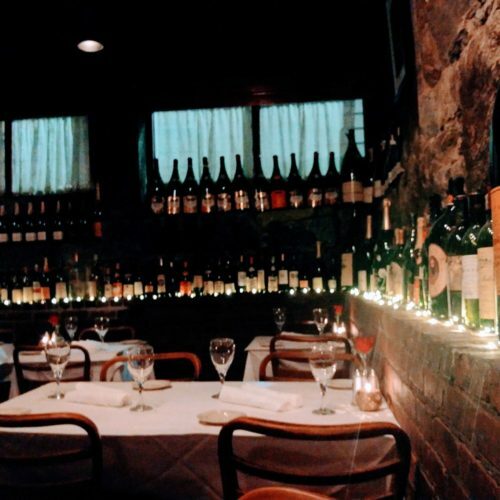 Pot Au Feu gets its name from the famous dish shared by families across France, and shared by many at the restaurant of the same name in Providence, Rhode Island. 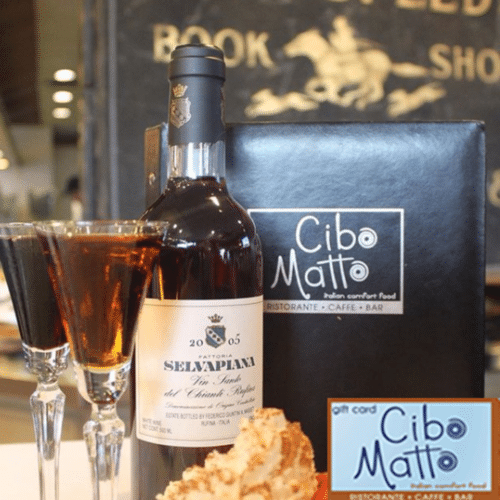 Serving some of the best Italian wine and comfort food, “Cibo Matto” literally translates to “Crazy Food”, and although their food is crazy good, that restaurant name sounds a lot better in Italian! If you’re really stumped on coming up with a creative restaurant name, think about your location! 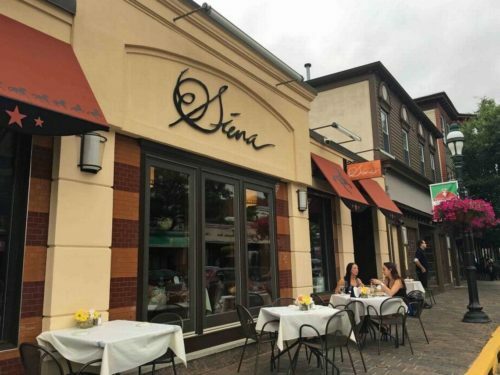 Sure, it’s not actually located in Italy, but if you’re craving some Tuscan cuisine, Siena is your best bet at getting a meal that tastes like it came straight from the famous city it’s named after. 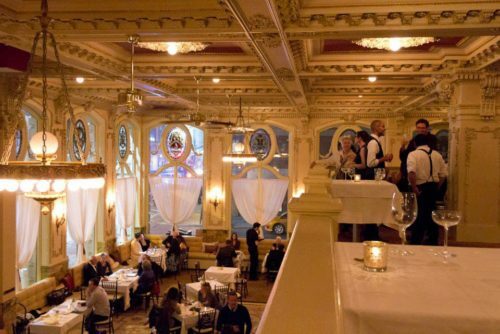 Located in the heart of downtown Providence, Rhode Island, The Dorrance is one of the most unique bars in the city, known for it’s signature cocktails and beautiful interior design. Where does its name come from? Simply the street that it’s located on, Dorrance Street! Acknowledging the history behind your location can also inspire a restaurant name. 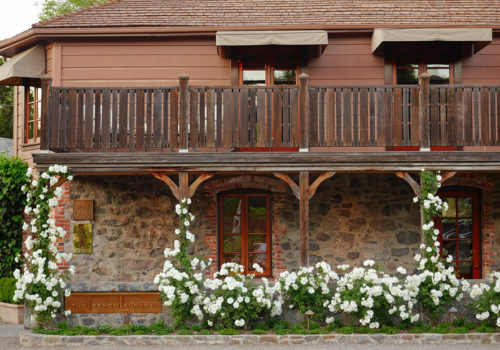 For example, The French Laundry used to be a french steam laundry in the 1920’s, and honoring it’s past with it’s name entices the most dignified of diners to make a reservation. 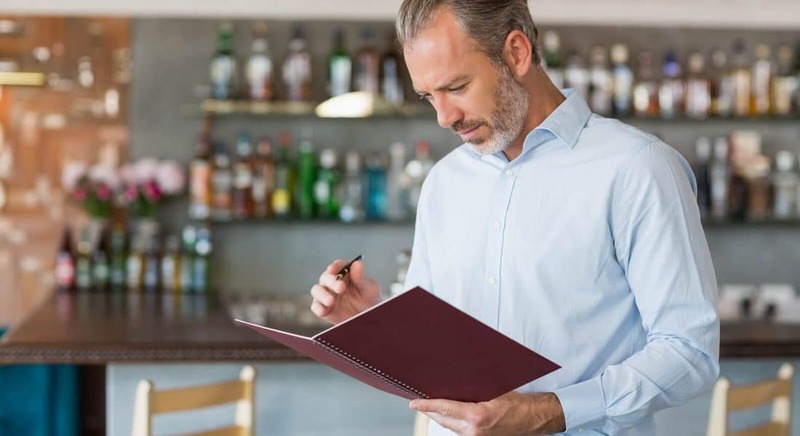 While it might seem daunting to come up with a name for your restaurant that isn’t used anywhere else in the world, it can all be a little easier than you might think. First, consider naming your restaurant after yourself, especially if you have a unique name, or after someone in your family. Another option is naming your restaurant after its location. If you’ve come up with a name you absolutely love but find out that it’s taken, consider adding the name of your restaurant’s city to it in order to make it your own. Can’t I Just Use a Restaurant Names Generator? Yep, pop ‘restaurant names generator’ into Google and you’ll get a ton of results. 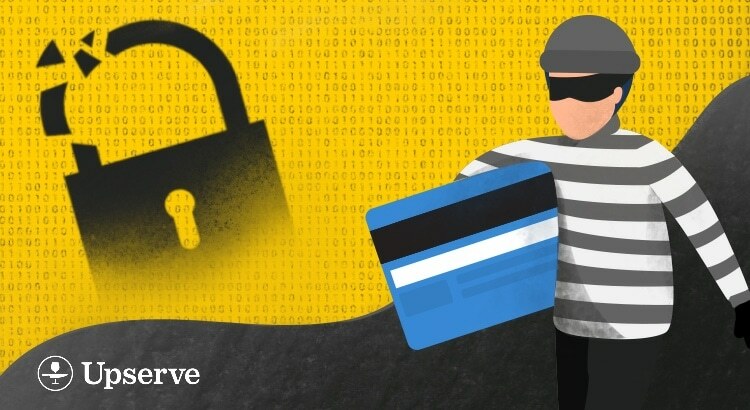 While it’s tempting to just use one of the dozens of name generators that show up in a quick internet search, there’s one major downfall. “The name of your restaurant is probably the first impression new customers will have of your establishment and your brand. Customers may not judge you on the quality of your kitchen equipment, but they will judge your name,” explains Webstaurant Store. Do you really want to leave that important decision up to an algorithm? Sure, if you’re really blocked and are just looking for somewhere to get started, try tinkering around with a could of restaurant name generators and see what comes up, but know that they should go through layers and layers of refinement before really becoming workable. Your restaurant’s name is one place where you should really consider investing in branding pros if you have the option. Still stuck on a finding a good restaurant name? 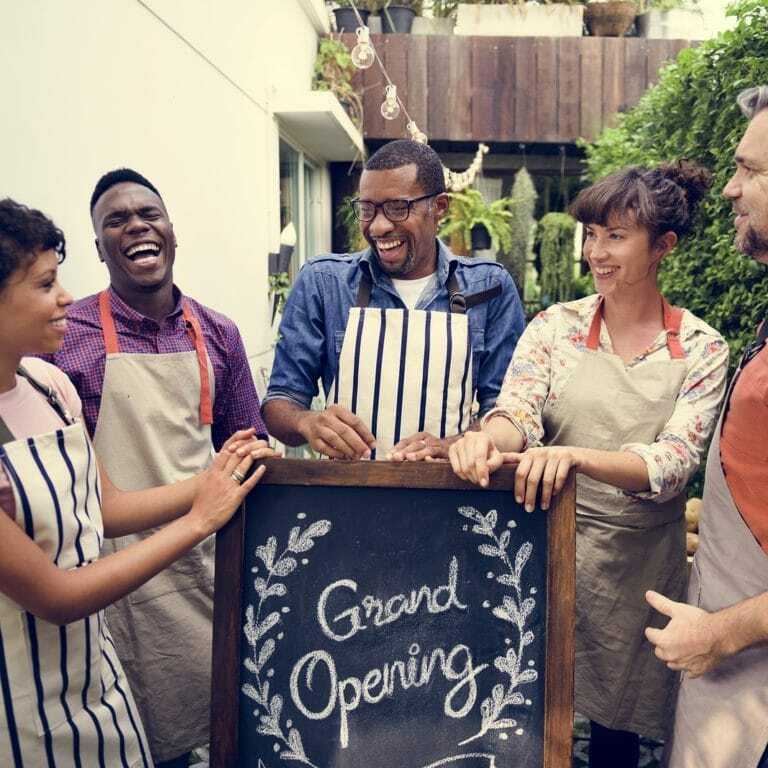 Check out this this guide to opening a restaurant.